Gov. 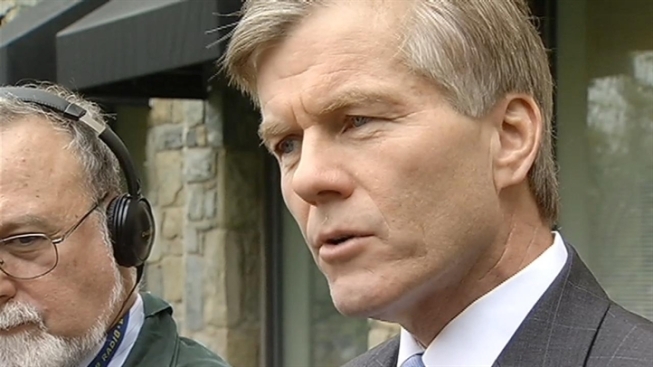 Bob McDonnell says a $15,000 gift to his daughter and more than $100,000 in political contributions to him did not buy any special favors for donor Jonnie Williams and his dietary supplement company, Star Scientific. The gift to McDonnell's daughter, to help pay for her June 2011 wedding, has especially been scrutinized because the contribution was not disclosed. McDonnell stressed that gifts to spouses and other family members are not subject to Virginia's financial disclosure laws. McDonnell's defense of the gift came as the Washington Post reported the FBI is looking into the relationship between the governor and Williams, whom McDonnell described as a family friend for the past several years. McDonnell says it's his longtime policy not to comment about ongoing criminal investigations, but he denied that Williams’s company received any special treatment in exchange for contributions. "No one during my administration has been given any special consideration because of their friendships, because of their donations to my campaign or because of any gifts they've given, not Mr. Williams or his company or any other individual or company," said McDonnell. But the governor did acknowledge it may be time to tighten Virginia's financial disclosure law. "I certainly would support taking a look at whether gifts to a spouse or children should also be disclosed, especially if it’s children living at home," he said. The contribution disclosure question has also become an issue in Virginia's 2013 governor's race. Democrat Terry McAuliffe is proposing a ban on any gifts or more than $100. Republican Ken Cuccinelli wants state officeholders to report all gifts of more than $500 within 10 days, including gifts to immediate family. But Virginia Democratic Party Chairman Charniele Herring, who is also an Alexandria delegate, says many elected leaders already report gifts to family members. "Most legislators typically do that, and it's a little strange our governor would not do that," said Herring.